Research scientists at several national and international institutions are engaged in ongoing scientific collaborations with the NeuroHIV Cure Consortium. Dr. Diane Bolton is a Scientist and Principal Investigator at the U.S. Military HIV Research Program (MHRP) located at the Walter Reed Army Institute of Research in Silver Spring, MD. She earned her Ph.D. though the Johns Hopkins University-NIH cooperative graduate program, and completed postdoctoral training at the NIAID Vaccine Research Center. Her interests include the dynamics and cellular origins of HIV replication within the CNS and associated neurological disease outcomes. Dr. Donn Colby is a clinical research physician at SEARCH in Thailand. He has over 17 years of experience in HIV prevention and treatment in Southeast Asia. Prior to joining SEARCH in 2013, he was Country Director of the Harvard Medical School AIDS Initiative in Vietnam (HAIVN) for 8 years. Dr. Colby has co-authored 3 book chapters and over 50 HIV related articles. Dr. Crowell is the Physician Consultant for Data Analysis and Clinical Research Liaison for West Africa at the U.S. Military HIV Research Program (MHRP). He has faculty appointments at the Uniformed Services University and Johns Hopkins University. Dr. Crowell has overseen HIV-focused, cohort-based research in the United States, Thailand, Germany, and throughout Africa. He has published extensively on clinical outcomes and healthcare utilization patterns among persons living with HIV, with particular focus on elite controllers, key populations, and individuals diagnosed during acute HIV infection. His current research also includes clinical trials of novel interventions to achieve HIV remission as well as preventive vaccine candidates for HIV and other infectious diseases. Dr. James Fletcher is a research physician at SEARCH in Thailand. He is a graduate of the University of Oxford Medical School. He has expertise in clinical care and support for acutely diagnosed HIV cases as well as laboratory and clinical research experience. Dr. Joanna Hellmuth is an Assistant Professor in the Department of Neurology at the University of California, San Francisco, where she studies HIV-related cognitive changes and sees patients with these issues. She underwent medical training at the University of Vermont, and completed a neurology residency at UCSF. She then spent six months working with the SEARCH team in Bangkok as part of a fellowship in cognitive and behavioral neurology at the UCSF Memory and Aging Center. She is the recipient of a NIMH K23 Career Development Award to study cerebrospinal fluid markers of immune activation and neurodegeneration in HIV. 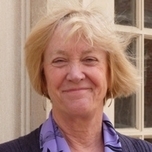 As Professor and former Chair of the Department of Social Medicine in the School of Medicine at the University of North Carolina at Chapel Hill, Dr. Henderson has pursued her interests in social science and research ethics via multiple, interdisciplinary avenues, in particular studying perceptions of risk and benefit in clinical trials. As former Director of the UNC Center for AIDS Research International Core; Principal Investigator of a 5-year NICHD R24 grant, “Partnership for Social Science Research on HIV/AIDS in China;” and co-Investigator of a recent NIAID award, “Unintended and Intended Implications of HIV Cure: A Social and Ethical Analysis,” Dr. Henderson has explored interdisciplinary ethical issues in global HIV/STI research for over a decade. She is currently the PI of a 4-year R01, awarded in 2016, “Integrating Decision-Making Studies into HIV Cure Trials: A Real-Time Longitudinal Assessment,” a multi-method interview study in Bangkok. Dr. Denise Hsu is a research physician under the Henry M. Jackson Foundation (HJF), in support of the U.S. Military HIV Research Program (MHRP), based at the Armed Forces Research Institute of Medical Sciences (AFRIMS) in Bangkok, Thailand. Dr. Hsu received her medical degree and PhD from the University of New South Wales, Australia. She trained in internal medicine and completed fellowships in Clinical Immunology and Allergy, and Immunopathology at the Sydney South West Area Health Network, Australia. She completed her post-doctoral fellowship on mycobacterial immune reconstitution inflammatory syndrome and immune activation in HIV infection with Dr. Irini Sereti at the National Institute of Allergy and Infectious Diseases (NIAID). Her current research areas include sources of HIV persistence and HIV cure strategies. Dr. Jagodzinski is the Chief of Molecular Diagnostics for the Department of Laboratory Diagnostics and Monitoring, MHRP, Walter Reed Army Institute of Research (WRAIR), and provides molecular testing support to clinical research studies and to the HIV Diagnostics and Reference Laboratory in the diagnosis and monitoring of HIV-1 infected individuals. She has directed and collaborated on numerous studies of HIV-1 pathogenesis, molecular epidemiology, diagnosis and patient monitoring for 35 years. Dr. Jagodzinski is a Subject Matter Expert in HIV-1 Genotype Testing and the detection/quantification of HIV-1 viral RNA. She has extensive experience in the development of real-time qPCR assays and in the adaptation of such assays for use in the testing of various specimen types and of specimens having limited material, including the monitoring of viremia and viral shedding for the WRAIR /NIH VSV Ebola vaccine trial and development of HIV-2 real-time PCR assays for use in HIV-2 diagnosis. Dr. Jagodzinski’s lab is developing assays for execution on the BioRad Droplet Digital PCR instrument and formatting PCR assays for detection/quantification of Malaria and Leishmania for execution in a College of American Pathology accredited laboratory. A researcher at the Hawaii Center for AIDS, Dr. Kallianpur has been involved in image analysis across a variety of disciplines, including remote-sensing of volcanoes. Since 2006 she has studied the effects of HIV on the brain. Dr. Kallianpur holds a Ph.D. in physics from the University of Texas at Austin and an M.S. in Biomedical Sciences from the University of Hawaii. In the SEARCH 011 study of chronic HIV infection and in prior work, Dr. Kallianpur used structural MRI to examine associations between peripheral HIV DNA reservoirs and brain injury. Currently she is a collaborator on SEARCH 010/RV254. She is particularly interested in applications of resting-state functional connectivity MRI to neuroscience research. Dr. Krebs is a Scientist and Principal Investigator at the U.S. Military HIV Research Program (MHRP) located at the Walter Reed Army Institute of Research. She earned her Ph.D. at Dartmouth Medical School, and was a postdoctoral fellow at the Centers of Disease Control and Association of Public Health Laboratories, as well as at the Vaccine and Gene Therapy Institute. Her interests include development of functional antibody responses during HIV infection and vaccination and the effect of immune activation on HIV viral load rebound and disease outcomes. Dr. Eugene Kroon is a research physician at SEARCH in Thailand. He received his medical training at the University of Amsterdam and specialty training at the University of Hawai'i. He is a widely-published research physician with almost two decades of clinical and research experience relating to HIV in Thailand, South Africa and the Netherlands. Dr. Ndhlovu is an Associate Professor at the University of Hawaii John A. Burns School of Medicine and is the Principal Investigator of the Laboratory of Molecular Immunology and Infectious Diseases. After completing medical school training he went on to receive his PhD from Tohoku University in Japan and completed postdoctoral fellowship in HIV immunology at University of California, San Francisco. His research focuses on two themes: (1) understanding the early changes to myeloid cells during acute HIV infection that could be important in the development of cognitive impairment and evaluating strategies to prevent, slow or eliminate these brain abnormalities while optimizing quality of life outcomes and (2) a focus on discoveries in T cell biology leading to new paradigms for eradicating HIV. His research results have been reported in over 70 peer-reviewed journals. Holly Peay is a Senior Research Analyst at RTI International. She is a trained in bioethics, genetic counseling and social science. Her research areas of interest are decision making, decision support, quantification of patient and caregiver preferences, and disorder-specific adaptation. She is currently an investigator on multiple studies that assess and/or support decision making, including the Thai HIV Decision Making Study, a large-scale electronic consent study, a study of gene transfer in rare disease, and a pediatric clinical trial decision aid. She is experienced in a range of qualitative and quantitative research methods, decision aid development, and community-engaged research approaches. Dr. Nittaya is the Chief of SEARCH. She is an HIV dermatologist with extensive experience in HIV clinical trials, specializing in HIV prevention and sexual health. Dr. Nittaya has expertise in developing research protocols and managing large HIV clinical trials involving local and international collaborators and stakeholders. Dr. Nittaya has more than 60 publications in peer-reviewed journals. Dr. Robert Paul serves as Executive Director of the Missouri Institute of Mental Health, and Professor of Psychological Sciences at the University of Missouri, St. Louis. Dr. Paul received his Ph.D. in Biological Psychology from the University of Oklahoma Health Science Center and completed his internship and postdoctoral fellowship in Neuropsychology at Brown Medical School. His research program, to delineate the neural substrates of cognition and emotion, has been supported by the NIH for twenty years. His research centers on two themes: 1) defining the viral, immunological, and host variables that underlie neuroimaging and neuropsychological signatures of brain integrity in HIV, and 2) harmonization, analysis, and interpretation of large, multidisciplinary datasets of brain function using standardized platforms. He is a founding member of BRAINnet, established in 2003 as the first large-scale integration of cognitive, neuroimaging, genetic, psychophysiological, and demographic data. Recent NIH-funded studies leverage innovative neuroinformatic models and data science methods (e.g., artificial intelligence algorithms) to discover latent, clinically relevant structure and meaning within large and complex data matrices. Dr. Carlo Sacdalan is a Research Physician at the SEARCH at the Thai Red Cross AIDS Research Centre in Bangkok, Thailand. He is currently handling the acute HIV cohort (SEARCH010/RV254) and the comparator study, SEARCH013/RV304 . He is a published research physician with prior experience working for a clinical research organization. Dr. Sacdalan earned his dual degree of MD and MBA from the Ateneo School of Medicine and Public Health in Manila, Philippines. He is currently pursuing a MSc in Public Health from the University of London, London School of Hygiene and Tropical Medicine. Dr. Sailasuta is a California Institute of Technology graduate. She worked for General Electric HealthCare for 15 years in the Research and Development division and has over 20 years of research and development in magnetic resonance spectroscopy and imaging methods. Dr. Sailasuta's primary research interest is to understand the mechanisms of glia dysfunction in HIV infection and addiction as well as neurodegerative diseases using the noninvasive multi-modalities magnetic resonance approaches. Dr. Sailasuta has developed several proton magnetic resonance spectroscopy methods to directly quantify several difficult-to-measure brain chemicals. Dr. Schuetz currently serves as Chief of Cellular Immunology at the Department of Retrovirology, US Army Medical Component of the Armed Forces Research Institute of Medical Sciences (AFRIMS) in Bangkok, Thailand. She works under the Henry M. Jackson Foundation as part of the US Military HIV Research Program (MHRP). She received her Ph.D. from the University of Saarland in collaboration with Bayer HealthCare AG, Germany in 2004. After working as a project coordinator at the Fraunhofer Institute for Biomedical Engineering, she started working with MHRP in 2006 and relocated first to Mbeya, Tanzania, where she was Head of Immunology and Specimen Processing. Here she developed in-country research capacity, designed and executed immunology research in the context of HIV vaccine trials and worked on research involving HIV and TB co-infection. In 2008 she moved with MHRP to Bangkok, Thailand and has since been involved in research on acute HIV infection, cure studies and HIV vaccine trials. A major focus of her work is to understand the mechanisms by which HIV infection causes dysfunction of the gastrointestinal and reproductive tract to support development of new cure and vaccine strategies. Ms. Slike is a Senior Research Associate for the Henry M. Jackson Foundation in support of the U.S. Military HIV Research Program (MHRP) located at the Walter Reed Army Institute for Research. She joined MHRP in 2005 and has over 20 years of research experience in the areas of cell biology, immunology and HIV. Since 2012, she has been a part of the B Cell Biology Core lead by Dr. Shelly Krebs. Her work focusses on two primary areas: investigation of the role of soluble immune factors in HIV infection and pathogenesis, and characterization of binding antibodies elicited following vaccination or infection. Previously, she worked under Dr. Paul Schimmel at the Scripps Research Institute in San Diego, studying non-canonical cell signaling functions of proteolytic fragments of tRNA synthetase proteins. Dr. Subra is a Junior Scientist for the Cellular Immunology Section at the U.S. Military HIV Research Program (MHRP), Henry Jackson Foundation. She obtained her PhD in cellular biology and biochemistry at the University of Toulouse, France, in 2010. Dr. Subra performed post-doctoral training studying exosome implication in HIV pathogenesis at the Laval University in Quebec City, Canada, and joined Dr. Trautmann’s MHRP laboratory in 2016 to study the cellular immune response to HIV infection and assess the implication of exosomes in acute HIV infection (AHI) and in modulating the immune response. In parallel, she is studying the cellular immune response to AHI in the CNS to decipher the mechanisms leading to neuroHIV. Dr. Trautmann is Chief of the Cellular Immunology Section at the Henry Jackson Foundation in support of the U.S. Military HIV Research Program (MHRP) at the Walter Reed Army Institute of Research. After obtaining a M.Sc. at Louis Pasteur University and an Engineer’s Degree in Biotechnology at the ESBS in Strasbourg in 1998, Dr. Trautmann obtained her Ph.D. in Immunology at Paris V University in 2003 and performed post-doctoral training at the University of Montreal from 2004 to 2009. She then worked at the Vaccine and Gene Therapy Institute of Florida while also holding the position of Adjunct Assistant Professor in the Department of Microbiology and Immunology at the Miller School of Medicine in the University of Miami. Dr. Trautmann joined the MHRP in 2015, and currently investigates the cellular immune response in acute HIV infection, HIV cure studies, and HIV vaccine trials. Her work develops innovative therapeutic strategies aimed at enhancing the cell-mediated control of viral replication and mitigating CNS pathogenesis in HIV infection. Dr. Valcour received his medical degree from the University of Vermont and was elected to the Alpha Omega Medical Honors Society. He then completed Internal Medicine training at St. Joseph Hospital in Denver, Colorado (1995-1998), a Geriatric Medicine fellowship at the University of Hawaii (1997-1999), and a Neurobehavioral fellowship at UCSF (2006-2008). Upon completing his fellowship at UCSF, he remained on faculty and is currently a Professor of Medicine with joint appointments in Geriatric Medicine and Neurology. Dr. Valcour is a Director of SEARCH, and has been studying acute HIV infection since 2007. ​Dr. Vasan is currently the Science Director at the Department of Retrovirology, US Army Medical Component of the Armed Forces Research Institute of Medical Sciences (AFRIMS) in Bangkok, Thailand. She works under the Henry M. Jackson Foundation in support of the US Military HIV Research Program (MHRP), which she joined in 2011. She obtained an SB in Mechanical Engineering at the Massachusetts Institute of Technology, an MD at Harvard Medical School, and completed her residency in Pediatrics at Johns Hopkins University. From 2002 to 2011, Dr. Vasan conducted Phase 1 clinical trials of HIV vaccines and adjuvants, and related immunology research at the Aaron Diamond AIDS Research Center and the Rockefeller University. In collaboration with the MHRP and numerous government and academic research collaborators, Dr. Vasan conducts preventative vaccine trials in follow-up to the RV144 Phase 3 Clinical Trial, other preventative and therapeutic vaccine trials, and studies of potential cure in acute and early HIV infection. In parallel, she is Head of the Nonhuman Primate Laboratory and leader of the INHCC Project Modeling Neurologic Involvement of early SHIV infection in Nonhuman Primates.